How to influence others from a “non-authority” position. 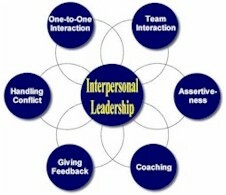 Getting along with others and pro-actively developing rapport with them. Building cooperative relationships. Using appropriate interactive skills in the process of transferring information, ideas, understanding, or feelings between individuals in one-to-one situations groups. Effectively putting across information, concepts or ideas to others. Assisting individuals or a team in their development as they work towards achieving agreed outcomes. It involves giving guidance and direction, and working with them on how they can go about achieving a certain objective (s) or developing a skill (s). Using appropriate interactive skills to communicate to others how they are doing against specific objectives and performance standards, including acceptable behavior. Feedback which is based on agreed and understood expectations, specific, accurate, relevant, balanced, timely and provides alternatives. Willing to state own feelings and opinions without anxiety or embarrassment, while at the same time allowing other people to have their own feelings and opinions. Using appropriate interactive skills to identify, address, and resolve difficult situations which involve differing needs and interests of the parties. Reduces the potential for conflict by using acceptable behaviour and focusing on the needs and interests of others. Using appropriate interactive skills in the process of transferring information, ideas, understanding, or feelings between individuals in group situations. Effectively put across information, concepts or ideas to others. Providing overall direction for an interaction and developing a clear understanding of the topic or issue being discussed. Showing that you are actively listening to and understand the concerns and feelings of individuals or the group. Generating ideas and suggestions on what and how to go about something. Reaching agreement on the best solution and tying down the details. Reviewing the interaction, establishing follow-up and ensuring implementation of agreed actions. Each of the CLEAR Skills clusters are further broken down into identifiable and easy to learn behaviors. We should also note that these skills are used as and when necessary and should not be seen as sequential. An underlying objective of all our interactions should be to enhance the relationships between those involved. The only successful way to achieve this is to approach interactions in a collaborative / win-win manner. With few exceptions most business related interactions are of problem solving nature. A sales call, for example, should be viewed as a process of helping both parties solve their respective "problems". The seller needs to sell. Buyers make "buying decisions" based on a desire / need to resolve dissatisfactions / problems. Sales people help buyers in this decision making process. The CLEAR Process Model provides you with a process against which to plan and conduct your interactions. The process "steps" are not necessarily sequential, but each is, as with the CLEAR skills, essential if you are going to achieve your objectives for that interaction.